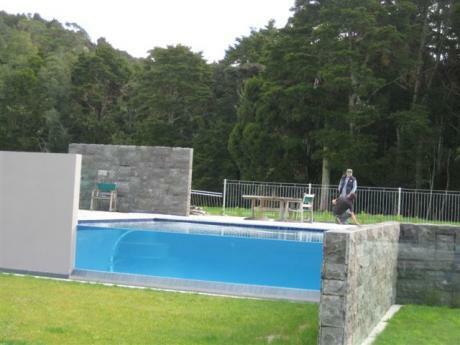 The glass weir and stone walls of this swimming pool were an integral part of the pool fencing requirements for New Zealand swimming pools. The pool fencing had to be designed as a feature as seen from the house. Glass and stone are important design features of the house. Stage 2 of this project will involve the building of a pool house as a balancing element to the design.